CARACAS, Venezuela President Hugo Chavez's crusade to transform Venezuela into a socialist state, which has bitterly divided the nation, was put to the stiffest electoral test of his nearly 14 years in power on Sunday in a closely fought presidential election. Reveille blared from sound trucks around the capital to awaken voters and the bugle call was later replaced by folk music mixed with a recording of Chavez's voice saying "those who love the homeland come with me." At many polling places, voters started lining up hours before polls opened at dawn. If Capriles wins, a radical foreign policy shift can be expected along with a loosening of state economic controls and an increase in private investment. 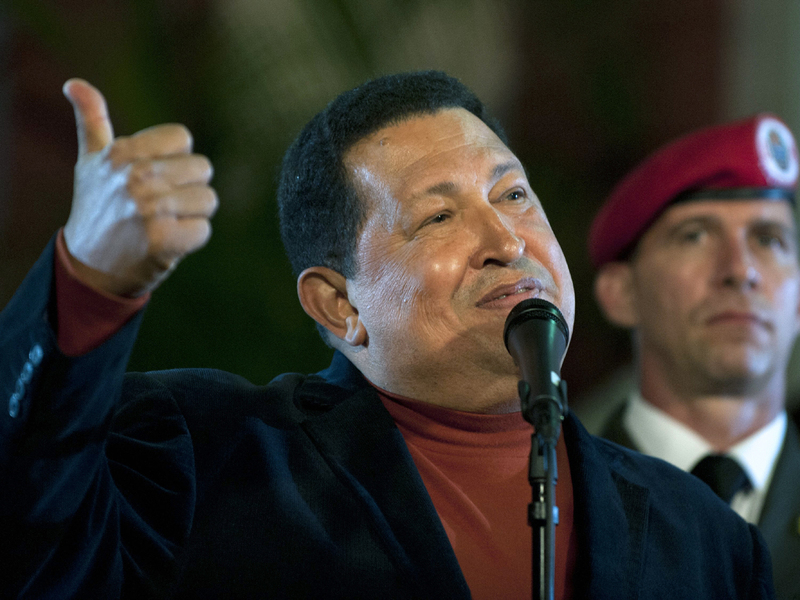 A tense transition would likely follow until the January inauguration because Chavez's political machine thoroughly contronews conference Saturday night, and when asked about the possibility of disputes over the vote, he said he expected both sides to accept the result. He says he has successfully emerged from about a year of cancer treatment. His opponents mounted a noisy protest in Caracas and other major cities on Saturday night, beating pots and pans from the windows of their homes to show displeasure with Chavez  and also their hopes for change. Drivers on downtown streets honked horns, joining the din. Some recent polls showed Chavez with a lead of about 10 percentage points, while others put the two candidates roughly even.